Dear The Weather: you are too warm for hearty stews, but too cold for me to be satisfied with a salad-based tea. I call this season 'Sprinter' or 'Wing' because it's a weird in-betweeny time that means I don't know how to dress or feed myself. It is a time for layers, an emergency scarf in every bag, and dinners that deliver a warming kick without being carb overload. So hello laksa, a spicy and fragrant noodle soup that is pleasingly fast to cook and will leave you satisfied but not stuffed. Popular in Malaysia but found all over south-east Asia, it's a noodle soup that comes with a gently spiced broth and your choice of protein. This veggie option uses Quorn pieces, but you could use lightly fried tofu pieces or, if you're not vegetarian, prawns or sliced chicken. Heat a tablespoon of oil in a large saucepan or wok over a medium heat. Add the shallots, chilli, garlic, ginger and lemongrass for 2-3 minutes until your kitchen smells amazing. Stir in the Quorn pieces and then add the coconut milk and stock and bring to the boil. Turn the heat down and leave to simmer while you cook the noodles according to the packet instructions. Add the cooked noodles to the soup and stir through. 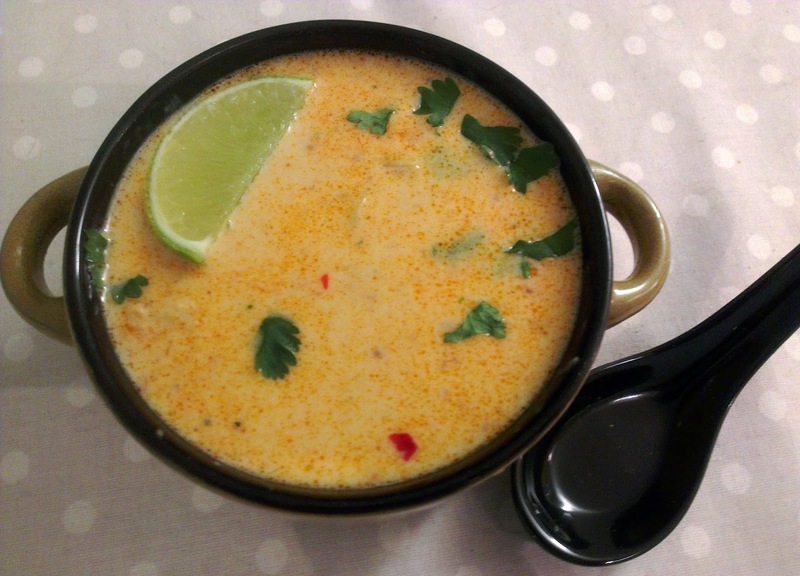 Divide the soup between two bowls and garnish with the chopped coriander and a squeeze of lime juice. This looks delicious, I write looking down at a rather sad sandwich and feeling sorry for myself.